Nominations for "The Oscars" of the power industry reached a record-high of 150. 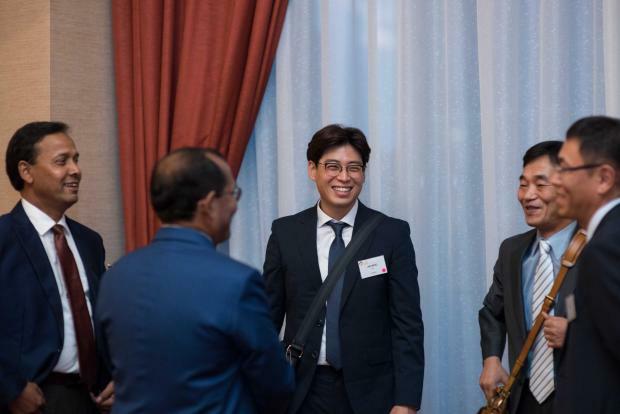 Over a hundred senior executives and prime industry figures flocked to The Ritz Carlton - Mega Kuningan, Jakarta on September 19 for the awards night of the Asian Power Awards 2018 in Indonesia. The gala night featured 71 awards this year as nominations jumped to 150. The awards were expertly judged by John Yeap, Partner, head of Energy – Asia at Pinsent Masons, and Mark Hutchinson, VP, head of Gas & Power Consulting, Asia Pacific Wood Mackenzie, Mike Thomas, partner at The Lantau Group, Petteri Harkki, Regional Director for Asia of Poyryand, and Gervasius Samosir, associate partner of Solidiance. Asian Power publisher Tim Charlton deeply congratulated the awardees, saying, "On behalf of the Asian Power team, we are humbled and again grateful for spending your time with us tonight. We are honored to turn the spotlight on 2018's key players who bested others in their drive for sustainability by amping up their projects' efficiency and productivity."